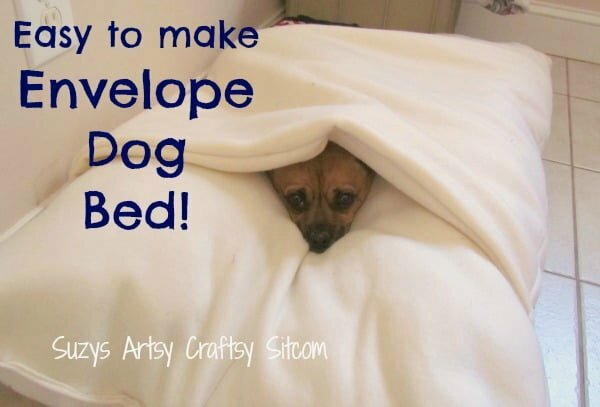 Looking to make a DIY bed for your beloved pet? 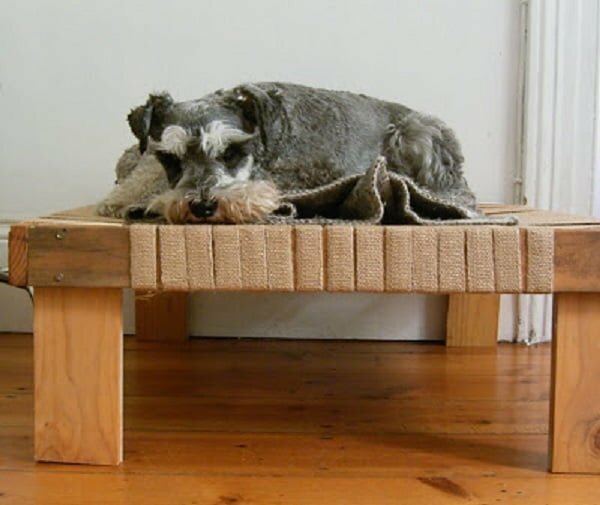 Here are 20 excellent wooden and no-sew DIY dog bed ideas that your pooch will love. Making a DIY dog bed is a neat little craft project, and it’s very practical. Dog beds can be quite the eyesores for your home decor, so making one yourself is your chance to change that. You can make a bed that will increase your decor appeal. How about that? And your little pooch will love you for it. Convinced yet? So where do you start? 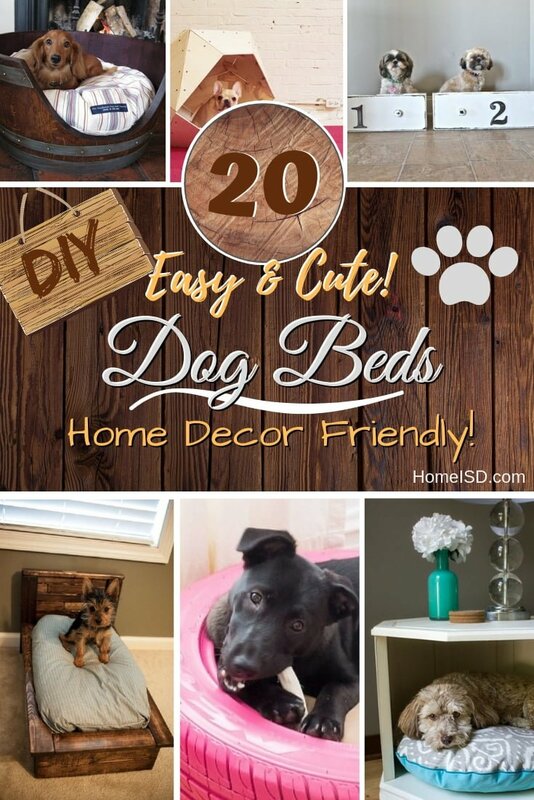 Depending on your level of crafting expertise, you can choose one of the many cool tutorials and plans that show you how to make pet beds. 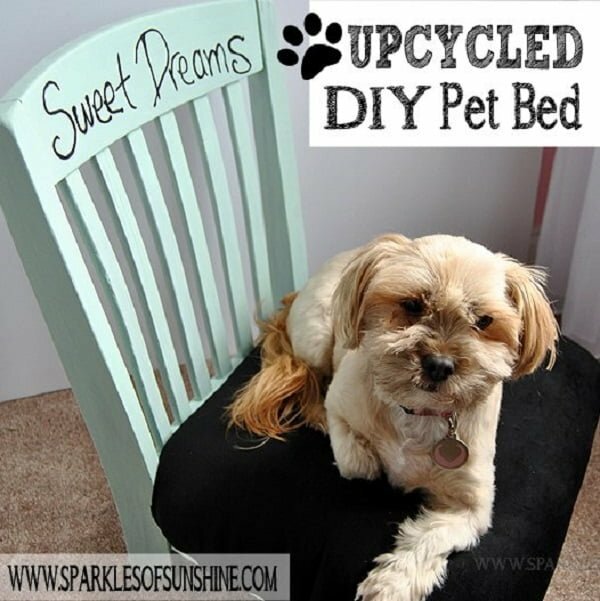 We have many creative options on this list from wooden raised dog beds to upcycled furniture and simple fabric dog beds. And of course, there are even no-sew beds for the very beginners. So check out this list and choose which bed you’ll make for your adorable little pet. For more details of every step, please use one of the following tutorials. 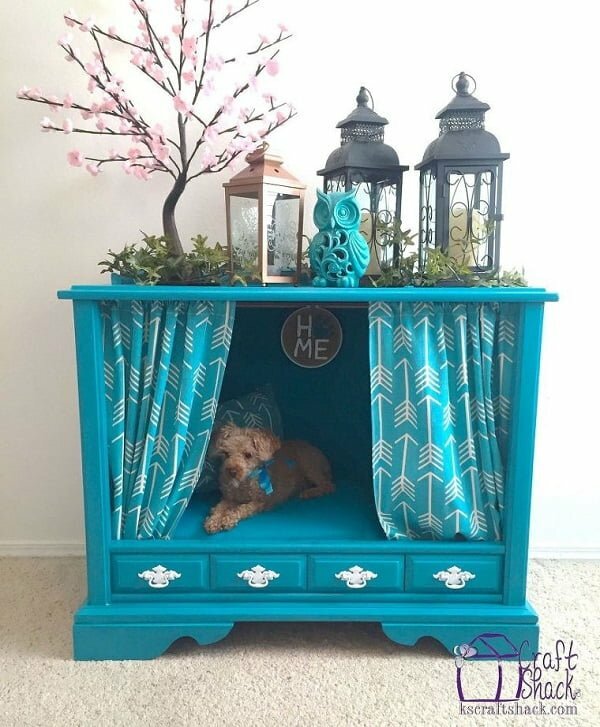 Here’s how you can turn a couple of old drab drawers into shabby chic dog beds for your beloved pets. They look incredibly cute and not only they won’t become a decor eyesore, but they will also add to it. 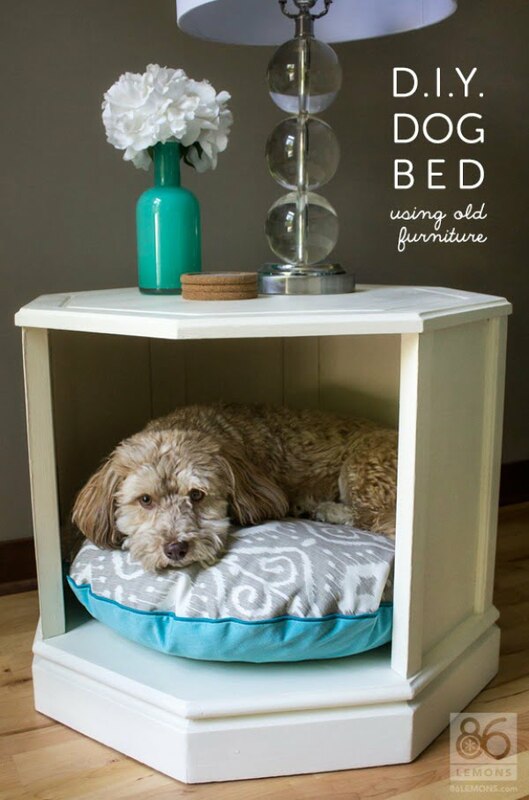 You have to make these DIY dog beds if you have a couple of old drawers lying around. Check out the tutorial for the details. 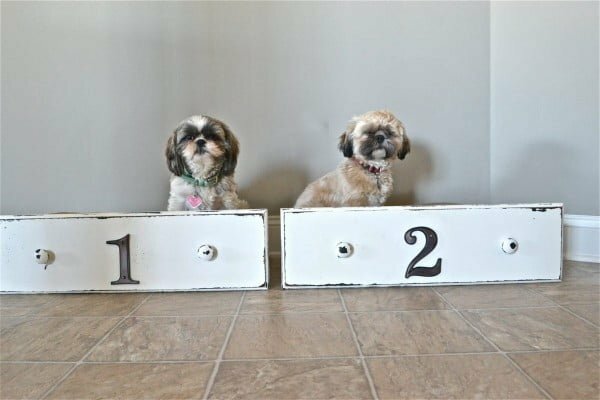 This pallet DIY dog bed looks like a mini version of a real bed and it’s adorable. 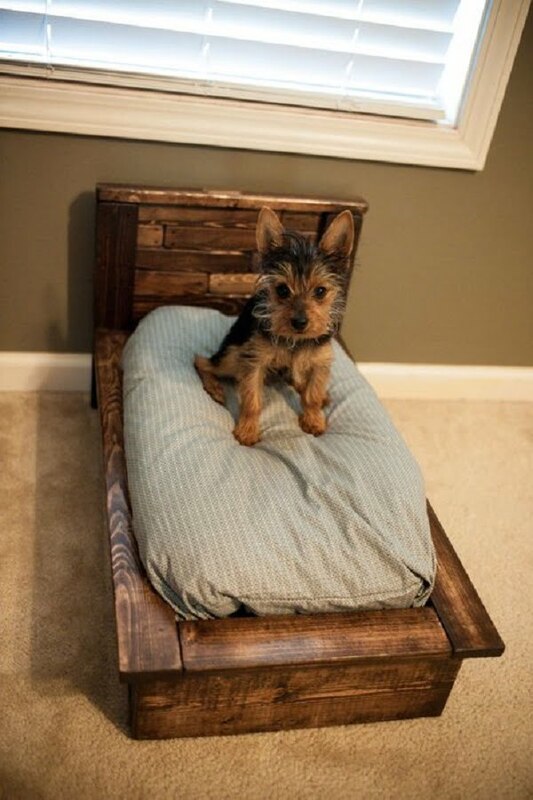 Build this pet bed for your puppy and add a rustic accent to your home decor at the same. All instructions with plans are included in this terrific tutorial. 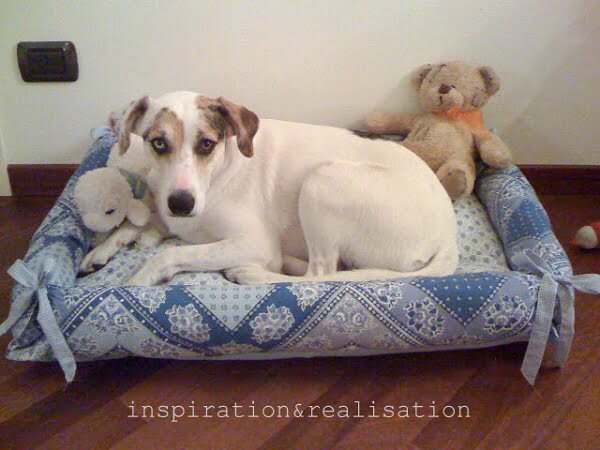 This is a simple but handy way to create a bed for your pet without having to sew anything. You’ll save a lot by not having to buy a ready-made bed too. So here’s how it works. Open the tutorial and see the steps required to take. 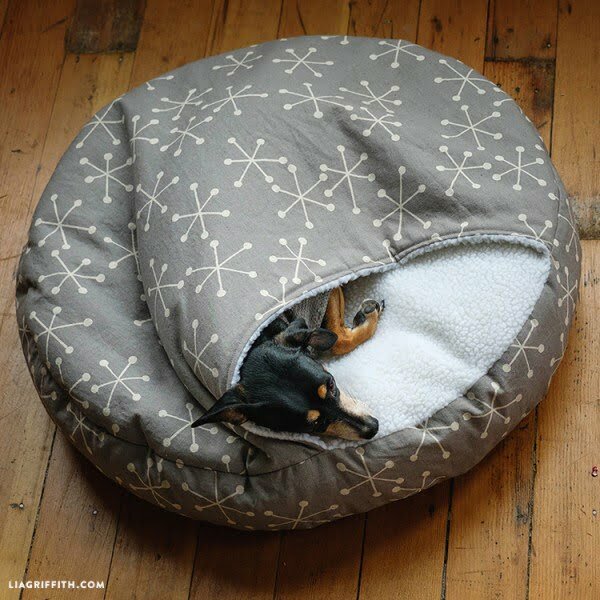 This project requires sewing, but you can make an excellent fleece dog bed and save quite a bit by doing it. Choose the fabric that you like best (and that your puppy loves the most) and see the tutorial for the instructions. 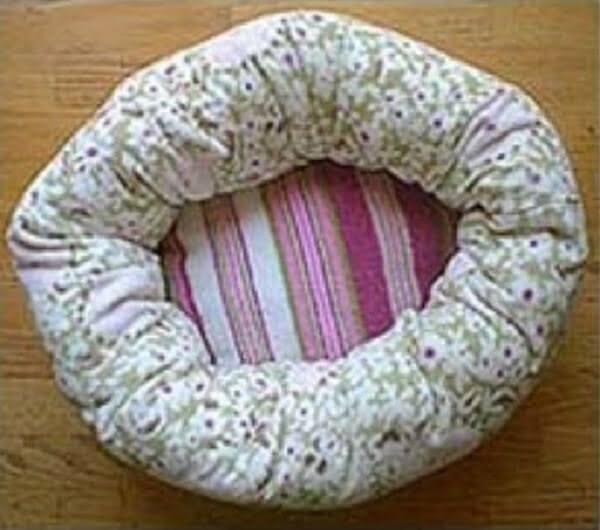 You can use the stuffing of an old pillow too. 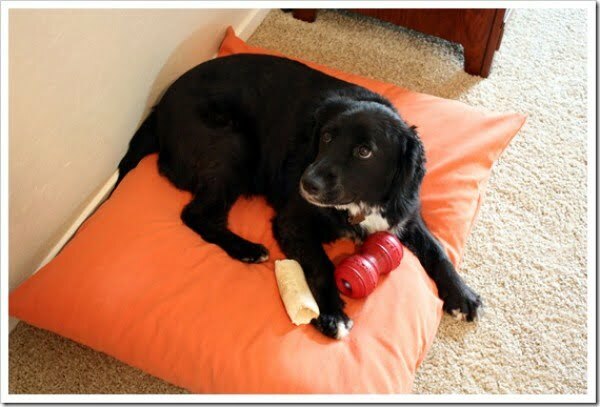 You can make the perfect dog bed from things you already have lying around the house. That way it costs you nothing. You have to look around for things like old pillows, blankets, and fabrics that you can use for this project. The rest is easy, and it’s shown very well in this tutorial. 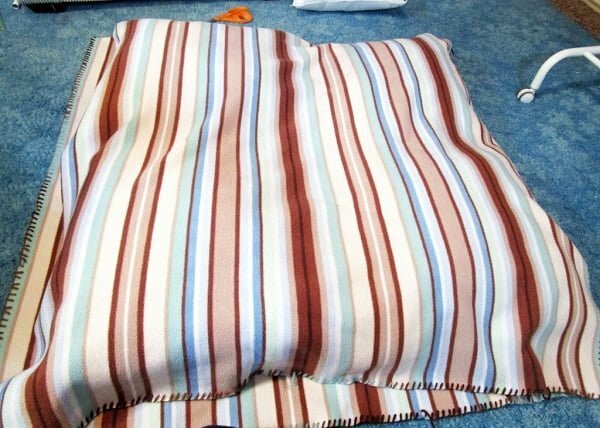 If you are a seasoned seamstress, this pet pocket DIY dog bed may be for you. There are a few more advanced components so that it may be tricky for a beginner, but it is perfect for winter hibernating. 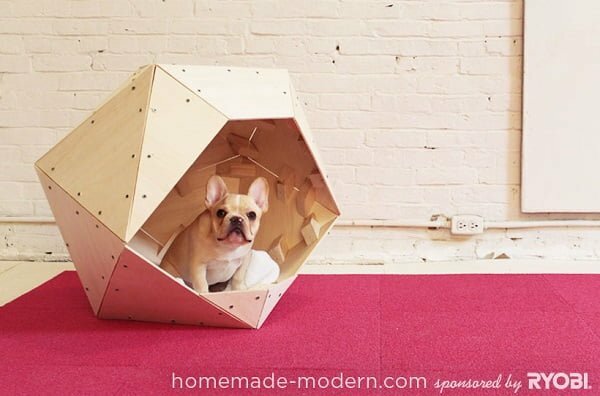 This geometric dog house is far simpler to create than it appears. Great for indoor or outdoor use, a quick trip to Home Depot and a few power tools will create a new gathering spot for your pooch. You love your dog, but you’d like to keep your blankets to yourself? Try this incredibly easy to create a bed with a built-in pillow and blanket. It travels easily, too. Has your kitchen chair seen better days? 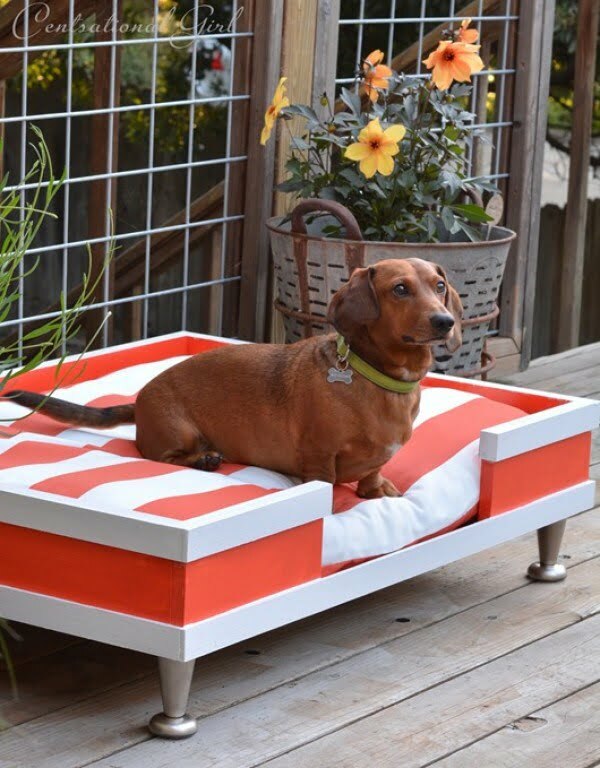 Don’t throw it out, transform it into a fabulous custom lounging spot for your dog. It’s a simple project that’s good for your pets and the environment. 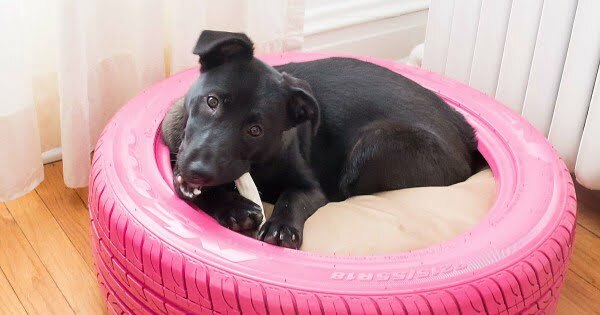 If you have two hours and an old tire, your dog could soon have a new bed. 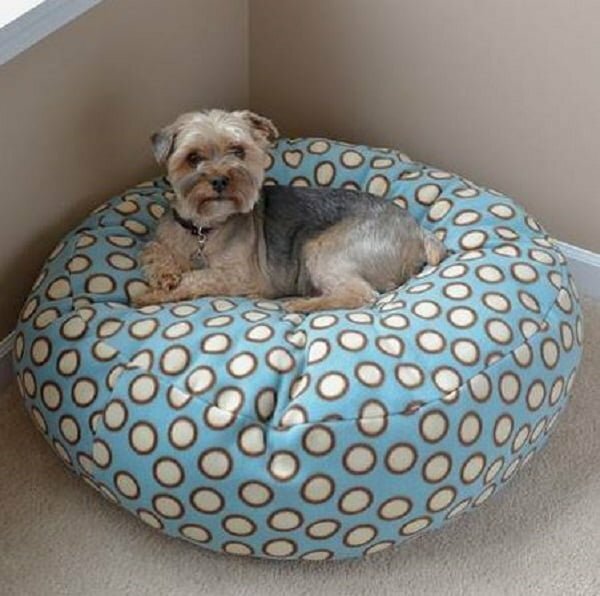 Best suited for smaller dogs, you can transform an ordinary flat pet bed into a cozy spot. 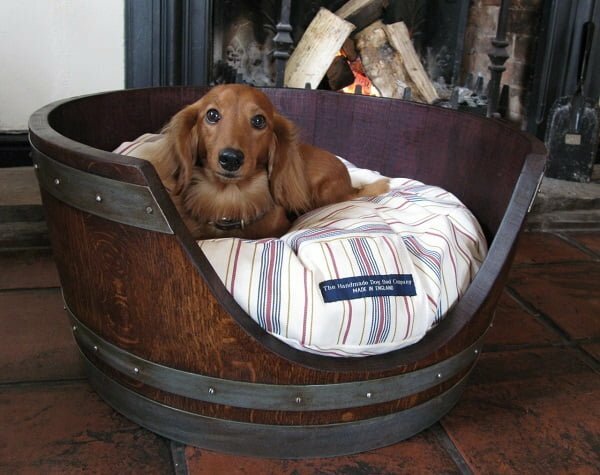 If you are looking for a luxury craftsman bed for your fancy four-legged friend, this wine barrel bed will impress you. It’s a bit of work and less portable, but the result is worth it. This octagon table bed is excellent for anyone with thrift store access and a smaller dog that needs a little more structure to their lounging. This giant pillow is the ultimate in simple luxury. This project is perfect for beginners with a tight budget because you can use what is available to you. 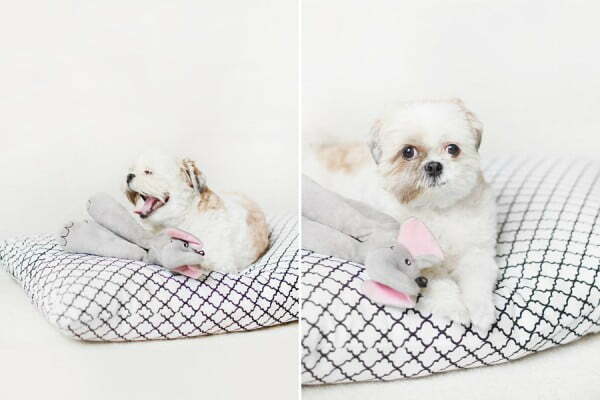 Turn a pillow into a fun bed for your smaller dog. The hardest part of this adorable bed is choosing your theme or project. Stamp your way to customized elegance. This indoor/outdoor pet bed is a great afternoon project. This is great for more inexperienced DIYers as it doesn’t require a lot of preexisting skill, just the ability to follow instructions. This pillow bed has a little more structure than some similar styles. It does require a bit of sewing skill or more intimate knowledge of a decent sewing machine, but the result is fabulous. This raised bed with a webbing base is a departure from the regular floor cushion style, but a lot easier to clean. This is a 2-person project, but relatively simple and unique. If you have fundamental sewing skills, this pillow-based bed with borders will make your dog very happy. 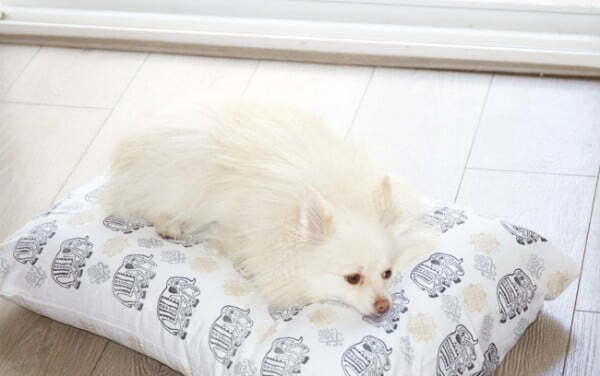 The pattern is for a medium-sized dog, but it is very easy to alter. 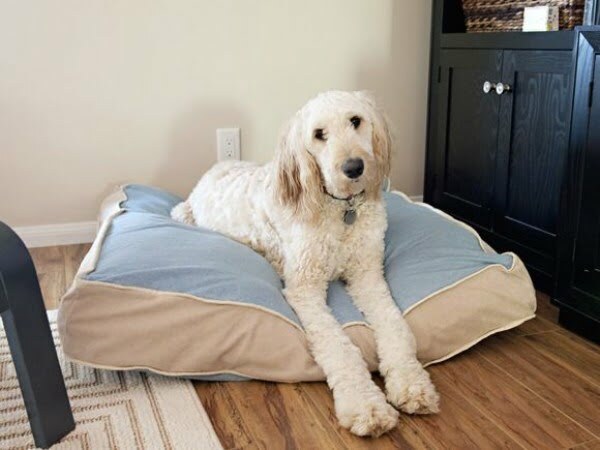 This budget-friendly washable dog bed is a snap to make, even with little sewing skill and limited time. The pattern is easy to adjust to your dog’s size, and you can bring it with you anywhere. Turn an old TV into an imposing and stately dog bed. This one is more stationary and set in size, and requires specific materials, but the actual work is relatively simple.